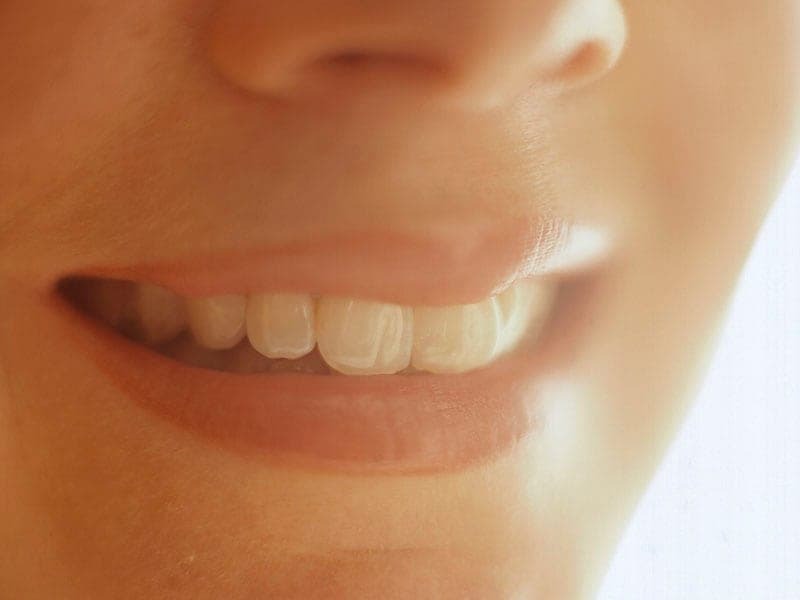 TUESDAY, April 9, 2019 (HealthDay News) -- Having a pearly white smile may come with a significant cost -- the health of your teeth. New research suggests that over-the-counter whitening strips may be eroding the structure of your choppers. "This study shows that there is a loss of protein from the teeth with these whitening treatments," said senior author Kelly Keenan, an associate professor of chemistry at Stockton University in Galloway, N.J. While the research looked at over-the-counter products, Keenan thinks those used by dentists might also do damage. "Whether you buy over-the-counter or go to a dentist, it's the same ingredient -- it's hydrogen peroxide. I don't know of a safer alternative for whitening teeth," she said. But not everyone thinks Americans need to give up their love of a bright white smile. "Anything that can harm the teeth concerns me, and I have read that whitening can soften teeth, but clinically, I'm not concerned," said Dr. James Sconzo, chief of dental medicine at New York-Presbyterian Brooklyn Methodist Hospital. "I haven't seen a higher decay rate in people who whiten their teeth." Sconzo, who wasn't involved with the study, said he's more concerned about damage to teeth from other things, like sugary sports drinks. Americans spend billions of dollars every year on products to whiten their teeth, including whitening strips, researchers said. Teeth are made up of several layers -- the outer layer is protective enamel. The next layer is called dentin, which makes up the bulk of a tooth, according to the researchers. Dentin contains high levels of protein, and most is a substance called collagen. Keenan and her team conducted three experiments with over-the-counter whitening strips. Whole teeth were placed in artificial saliva to try to mimic conditions in the mouth. The teeth were treated with the strips for between 20 and 60 minutes (the time recommended), with a round of 20 strips. The researchers saw that exposure to hydrogen peroxide in the strips caused the major protein in the dentin to be converted into smaller fragments. In another experiment, they treated pure collagen with hydrogen peroxide. The original collagen disappeared. The study didn't address whether teeth in their natural state in your mouth can regenerate proteins after exposure to hydrogen peroxide. Sconzo suspects that's probably what happens. "Dentin is a live cellular matrix," he said. He's been whitening teeth for many years with a stronger concentration of hydrogen peroxide than was used in these experiments, and he "hasn't seen any red flags," he said. "I have yet to see any clinical evidence that there's damage to the teeth," Sconzo said. The American Dental Association would not comment. The studies are to be presented Tuesday at the Experimental Biology meeting, in Orlando, Fla. Findings presented at meetings are typically viewed as preliminary until they've been published in a peer-reviewed journal. The AARP has more information on teeth whitening. SOURCES: Kelly Keenan, Ph.D., associate professor, chemistry, Stockton University, Galloway, N.J.; James Sconzo, D.M.D., chief, dental medicine, New York-Presbyterian Brooklyn Methodist Hospital, New York City; April 9, 2019 presentation, Experimental Biology 2019 meeting, Orlando, Fla.